Written by: Christopher Nolan, Juan Solanas, Lars von Trier, Andrea Arnold, Lynne Ramsay, Roy Andersson, Mathieu Kassovitz, Run Wrake, Nanni Moretti, Balint Kenyeres, Gyorgy Reder, Jan Svankmajer, Anders Thomas Jensen, Ridley Scott, Virgil Widrich, Martin McDonagh, Luke Ponte, etc. 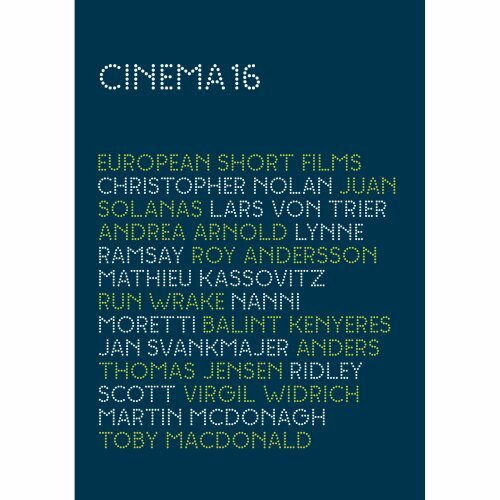 This new DVD set collects 16 short films on two discs, with a wide selection of shorts from many decades, by filmmakers both famous and unknown. Probably not too surprisingly, the best shorts come from folks you've never heard of. One of my favorites is the Oscar-winner Wasp (2003) from director Andrea Arnold, who went on to make this year's excellent Red Road. Wasp is an ultra-realistic look at a single mom living in squalor with four kids. When an old flame asks her out on a date, she pretends not to have any kids so that she can go; unfortunately, she is unable to feed her brood before departing. It's heartbreaking, but lacks the preachy quality a feature film on the same topic would have had. Lynn Ramsay's similar but equally superb Gasman (1997) about a man who takes his children to a Christmas party, accompanied by two other, mysterious children is also included. Unfortunately, both films are from Glasgow, and even though they're in English, subtitles would have been helpful for us accent-challenged Americans. I'm very fond of Nanni Moretti's The Opening Day of Close-Up (1996), which I originally saw on an old VHS tape of Abbas Kiraostami's Close-Up. In the film, Moretti works at a cinema, and eagerly, nervously prepares to show Kiarostami's masterpiece. However, despite all his preparations, The Lion King earns the majority of the day's box office take. As the program notes astutely point out, the film sums up the current state of cinema in 7 minutes. However, the most amazing short on the entire DVD has to be Hungarian filmmaker Balint Kenyeres' Before Dawn (2005), an absolute mini-masterpiece of mood and wordless storytelling, done in one continuous, 13-minute, panning shot. It tells the story of a group of refugees hiding in the grass and attempting to board a truck. Kenyeres uses the tall grass and vehicles approaching in the distance for surprising, dramatic effect. It even has a perfect ending. Thirteen of the sixteen films come with commentary tracks, and there is a very helpful liner notes booklet. Though the combined running time is nearly 4 hours, overall it's a very strong collection with enough small treasures to make it worth a look.